Ozzy Osbourne has called off the first four U.K. dates of his European “No More Tours 2” farewell tour due to coming down with the flu. The cancellation announcement came from Judas Priest, not Ozzy, as Rob Halford and company were set to open for the metal icon on the tour, which was scheduled to set off on Jan. 30 in Dublin, Ireland. 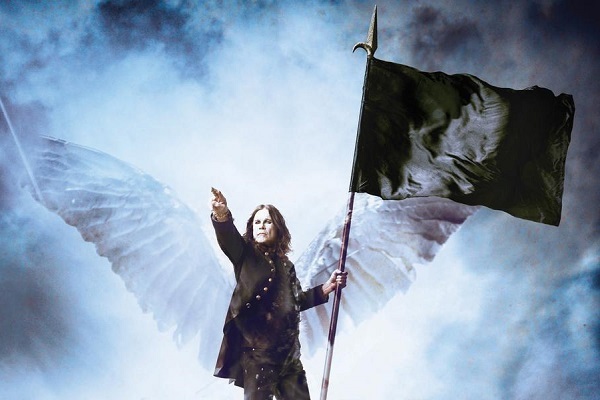 Update: After visiting the doctor, Ozzy has now been diagnosed with a “severe upper-respiratory infection,” and has postponed all of the dates of the tour. The four canceled concerts were the initial appearances for Osbourne in 2019. Most recently, he spearheaded a special New Year’s Eve edition of Ozzfest at the end of 2018. Other performs at Ozzfest 2018 — which took place at The Forum venue in Los Angeles — included Rob Zombie, Jonathan Davis of Korn, Marilyn Manson and Body Count. This isn’t the first of Osbourne’s recent medical issues. Earlier this month, he shared an image of a bursted blood vessel in his eye from coughing. Here’s hoping for a quick recovery. For the rest of Osbourne’s 2019 scheduled shows, go here.